In a letter dated February 2, 2018, Vasantha Kumari, women’s rights activist and wife of Dr. G.N. Saibaba jailed in Nagpur Central prison for above 14 months, has requested the Governor of Maharashtra for the transfer of her husband, Prof. Saibaba from Nagpur to Cherlapalli Central Jail, Hyderabad, Telangana. In all these letters, while explaining his critical condition and deterioration of his health, he describes his suffering in past months without any medical care and treatment. Though he has been advised to go for an immediate surgery for removal of the gallbladder, which is causing frequent attacks on his pancreas and may cause fatal form of jaundice. New Delhi: A six-week-old letter from Kobad Ghandy, the 71-year-old Maoist leader being held in a Jharkhand prison, has reached his friends in Delhi saying his health problems are “very serious” and “can lead to death”. Ghandy, alleged to be a politburo member of the banned CPI (Maoist), wrote the letter to his prison superintendent on February 5 but could not reach him. He was only recently able to smuggle it out to his friends here, sources said. Ghandy, held in various jails across the country since his arrest in Delhi in 2009, says his blood pressure has risen to 160/110 despite medication, and that arthritis and a slipped disc have made it difficult for him to walk. “But the most acute problem is of the prostate/kidney/urinary which has become very serious…. Though the Jharkhand police have been very kind and during police custody even took me to the Bokaro General Hospital for prostate/kidney examination…. The doctor suggested a number of tests including ultrasound and for prostate cancer,” the letter says. The Una flogging incident sparked a Dalit movement in Gujarat, but this seems to have had no effect as atrocities against Dalits saw a steep increase in the state. According to RTI figures, the state registered 1,515 cases under the Scheduled Caste and Scheduled Tribe (Prevention of Atrocities) Act in 2017, the highest number in 17 years. According to figures obtained through RTI by Mehsana-based Dalit activist Kaushik Parmar, these 1,515 cases include 25 murders, 71 severe assaults and 103 cases of Dalit women being raped. The figures show that atrocities on Dalits have increased year-on-year instead of lessening. The number of atrocity cases in the state jumped from 1,046 in 2015 to 1,355 in 2016, an increase of 309. In 2017, the so-called model state of Gujarat registered a further increase of 160 cases. 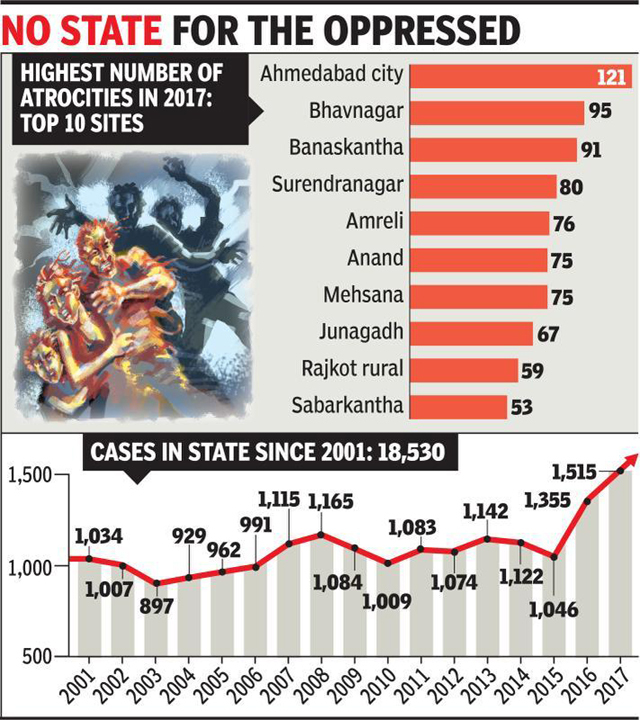 Shockingly, Ahmedabad registered the highest number of atrocity cases in 2017, 121, which includes five murders and 17 rapes. The data clearly shows that caste-based discrimination is as widespread in cities, contradicting the notion that casteist discrimination is a rural problem. It needs mention that In July 2016, Gujarat witnessed a Dalit movement after a video of four Dalit animal skinners being flogged by gau rakshaks in Una spread on social media. In September 2012, three Dalit youths were killed by police firing in Thangadh town of Surendranagar district. The report of the Thangadh case inquiry committee set up by the government has not yet been made public. 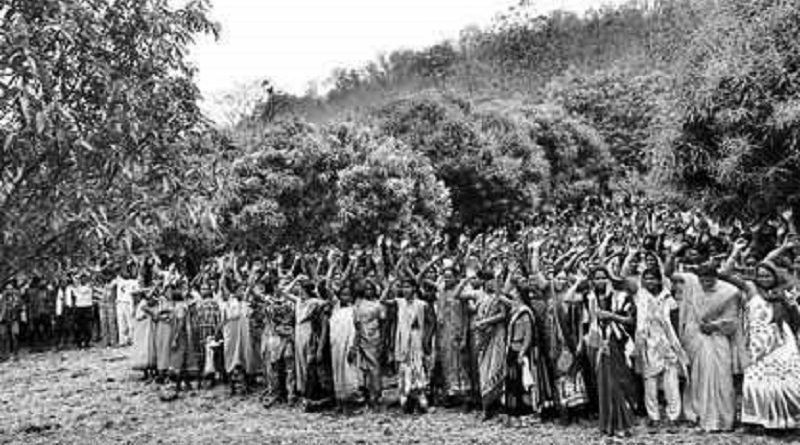 MALKANGIRI: IN a bid to regain their lost ground in the cut-off region of Malkangiri district, members of CPI-Maoist Korakundah Dalam on Sunday organised a public meeting in Cheruberu forest area bordering Andhra Pradesh. Earlier, they had organised a similar meeting in the area on Saturday. Slamming the State Government for deploying paramilitary and other security forces in the region, rebel leader Ora Nageswar Rao said civic issues such as potable water, electricity and communication hadn’t been addressed in the region. Raising anti-government slogans, the Maoist leader urged the youths to join their outfit, sources said. More than 5,000 tribals, including women, armed with traditional weapons, attended the meetings. Police were clueless about the public meetings, sources added. The Maoist leaders warned the Government of dire consequences for not following the conditions that it had once agreed to implement during the release of then Malkangiri Collector Vineel Krishna. Malkangiri: While the government is on a mission to crush left wing extremism (LWE) threat, Maoists organised a ‘Praja Meli’ (Villagers Assembly) in a bid to mobilise public support in their favour. According to sources, nearly three thousand tribal men and women congregated inside the Cheruberu forest in the cut off areas of Malkangiri district along the Odisha-Andhra Pradesh border following a call given by top Maoist commander Ora Nageswar Rao. During the public gathering, Nageswar and his brigade delivered speeches urging the locals to join protests against police and its anti-Maoist operations and held discussions on drinking water, electricity and transportation. Thousands of tribals including women and youth brandishing traditional arms and weapons were seen at the ‘Praja Meli’. Even as the government is saying that Maoist violence has drastically reduced in recent years, such congregation has raised quite a few questions. Why it is important to support the Spring Thunder Tour? 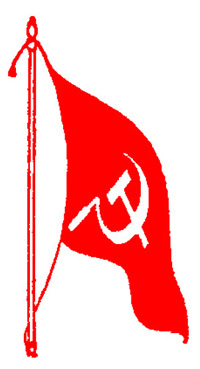 In India the people’s war is intensifying day by day, led by Maoist Communist Party of India. It involves and relies on the support of millions of poor peasants, women, masses of untouchables, and now controls about ten States of the Confederation of India. It is a people’s war against poverty, feudal capitalistic exploitation, in the regions where most acute are the contradictions brought by the turbulent development of plundering resources, caste oppression and exploitation, by the Indian capital linked to imperialism. The Indian masses, led by the Maoist Communist Party of India, are writing an important historical page in the world class struggle today. The development of people’s war in India confirms that the revolution today is the main trend in the world and that Maoism plays the role of command and leadership of the new great wave of world revolution against the imperialism in crisis. The world proletariat is aware that the advance of people’s war in India puts under question not only the balance of power in the South Asian region but also the equilibrium of the world imperialist system. The International Committee in support of the people’s war launches a great international campaign, the Spring Thunder Tour, to be conducted throughout Europe, in different forms, in most number of countries as possible. This tour is and must be the reflect of the proletarian internationalism and the advancing unity of the international proletariat, of revolutionaries, democratic forces and the oppressed nations and peoples around the world. La Red de Blogs Comunistas (RBC) se une a la difusión de la campaña Spring Thunder Tour (Trueno de primavera) del Comité Internacional de Apoyo a la Guerra Popular en la India (CIAGPI), en solidaridad internacionalista con la lucha de los pueblos de la India contra el capitalismo, el sistema de castas y contra toda explotación. ¿Por qué es importante apoyar el Spring Thunder Tour ? La Guerra Popular en la India se está intensificando día a día, dirigida por el Partido Comunista de India Maoísta, que implica y cuenta con el apoyo de millones de campesinos pobres, mujeres, masas de los intocables, y controla ahora cerca de diez Estados de la Confederación de la India. Una Guerra Popular contra la pobreza y la explotación capitalista y feudal, en las regiones donde son más agudas las contradicciones creadas por el turbulento desarrollo del saqueo de recursos, de la opresión de casta y de la explotación, por el capitalismo hindú vinculado al imperialismo. Las masas de toda la India, dirigidas por el Partido Comunista Maoísta de la India, están escribiendo una página historica de la lucha de clases en el mundo actual. El desarrollo de la Guerra Popular en la India confirma que hoy la revolución es la tendencia principal en el mundo y que el maoísmo juega el papel de vanguardia y liderazgo en la nueva ola de la revolución mundial contra el imperialismo en crisis. 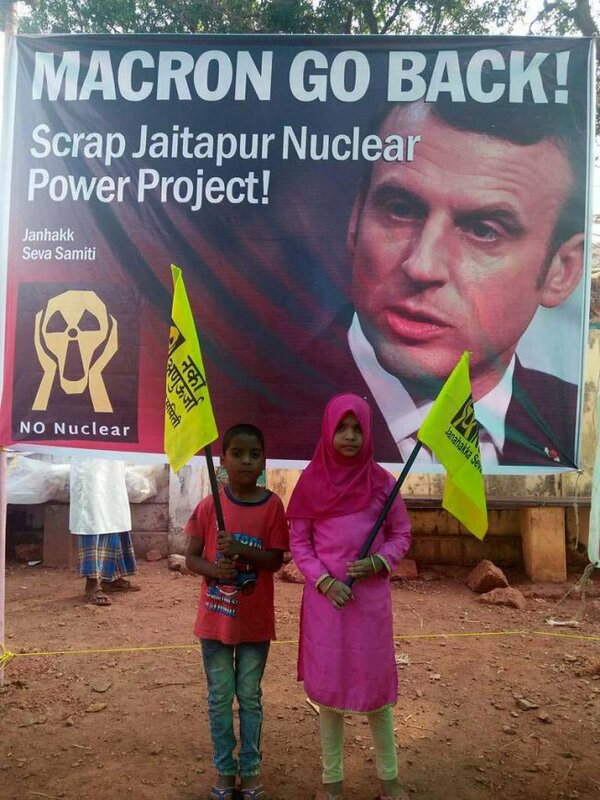 El proletariado mundial sabe que el avance de la Guerra Popular en la India pone en duda no sólo el equilibrio de poder en la región del Sudeste Asiático, sino también el del sistema imperialista mundial. El Comité Internacional de Apoyo a la Guerra Popular ha lanzado una gran campaña internacional, el Spring Thunder Tour, que se va a desarrollar en la mayor parte de los países de Europa en diferentes formas. Este Tour es debe ser la expresión del internacionalismo proletario y del avance de la unidad del proletariado internacional, de los revolucionarios, de las fuerzas democráticas y de las naciones y los pueblos oprimidos del mundo. Pourquoi c’est important de soutenir le Spring Thunder Tour? En Inde la guerre populaire s’intensifie de jour en jour. 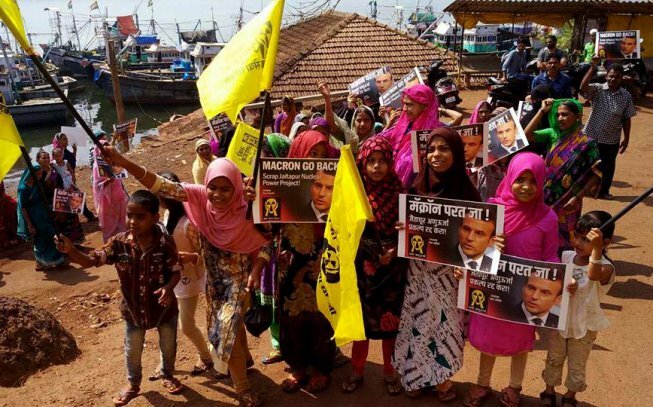 Dirigée par le Parti communiste maoïste de l’Inde implique et réjouit du soutien de millions d’agriculteurs pauvres, femmes, masses des intouchables, et contrôle désormais une dizaine d’États de la Confédération de l’Inde. Une guerre populaire contre la pauvreté, l’exploitation capitaliste féodale, dans les régions où ils sont les plus aiguës les contradictions produites par le turbulent développement du pillage des ressources, l’oppression de caste et l’exploitation, du capitalisme indien liés à l’impérialisme. Les masses indiennes, dirigée par le Parti communiste maoïste de l’Inde, sont en train d’écrire une page historiques de la lutte des classes dans le monde actuel. Le développement de la guerre populaire en Inde confirme que c’est la révolution aujourd’hui la tendance principale dans le monde et que le maoïsme assume le rôle du commandement et de direction dans la nouvelle vague de la révolution mondiale contre l’impérialisme en crise. Le prolétariat mondial comprends que l’avancement de la guerre populaire en Inde met en cause l’équilibre des pouvoirs non seulement dans la région du sud Asie, mais aussi dans l’attitude du système impérialiste mondial. Le Comité international de soutien á la guerre populaire lance une grande campagne internationale, le Spring Thunder Tour qui se déroulera en tout Europe, sous toutes ses formes, dans la plupart des pays que possible. Cette campagne est et doit être l’expression de l’internationalisme proletarie et de l’avancement de l’unité du prolétariat international, des révolutionnaires, des forces démocratiques et des nations et des peuples opprimés du monde entier. Perché è importante sostenere lo Spring Thunder Tour? In India la guerra popolare si intensifica ogni giorno di più. Guidata dal Partito Comunista dell’India Maoista coinvolge e gode dell’appoggio di milioni di contadini poveri, donne, masse di intoccabili, e oggi controlla una decina di Stati della Confederazione indiana. Una guerra di popolo contro la miseria, lo sfruttamento capitalistico feudale, nelle Regioni dove sono più acute le contraddizioni prodotte dal turbolento sviluppo di saccheggio di risorse, oppressione di caste e sfruttamento, da parte del capitalismo indiano legato all’imperialismo. Le masse indiane, dirette dal Partito Comunista dell’India maoista, stanno scrivendo una pagina storica nello scontro di classe attuale nel mondo. Lo sviluppo della guerra popolare in India conferma che è la rivoluzione oggi la tendenza principale nel mondo e che il maoismo assume un ruolo di comando e guida nella nuova ondata cdella rivoluzione mondiale contro l’imperialismo in crisi. Il proletariato mondiale comprende che l’avanzamento della guerra di popolo in India mette in discussione i rapporti di forza non solo nella Regione sud asiatica ma in tutto l’assetto del sistema imperialista mondiale. Il Comitato internazionale di sostegno alla guerra popolare lancia una grande campagna internazionale attraverso l’Europa, lo Spring Thunder Tour, da condursi in tutte le forme, nel maggior numero di paesi possibili. Questa campagna è e deve essere l’espressione dell’internazionalismo proletario e dell’avanzamento dell’unità del proletariato internazionale, dei rivoluzionari, delle forze democratiche e delle nazioni e dei popoli oppressi di tutto il mondo. Three persons held two Dalit youths after blaming them that they had committed theft. Accused tied the hands of the victims and assaulted them violently. Later, a complaint was lodged. Police arrested one accused and started investigation. It is reported that the purse of a woman of Davli village was stolen a few days back. Due to this, brother of the woman, Kapil took this step. He held Anil and his neighour Rohit on Saturday afternoon. Accused along with his friends, Bharat and Nutan allegedly committed this crime. Meanwhile, when the people opened the door of Kapil, Anil and Rohit were found inside. They rescued the victims. However, accused had fled away. The writer called the Greyhounds an unlawful police force and termed the killings as ‘state-sponsored’. 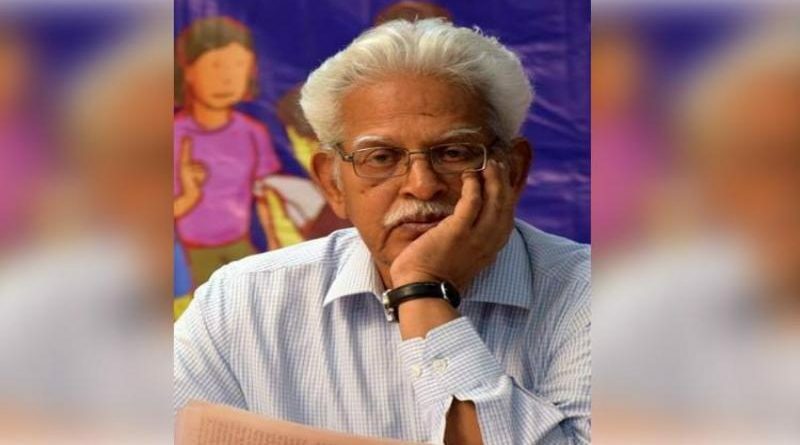 Condemning the alleged encounter that took place near Telangana-Chhattisgarh border on Friday in which 10 suspected Maoists were gunned down by the police, revolutionary writer Varavar Rao termed the killings as ‘state-sponsored’. Among the 10 people who were killed, six were women. Besides, a greyhounds (elite anti-naxal force) constable, B Sushil Kumar died, while three others suffered injuries. This was the first major incident in Telangana since the state’s formation in 2014. Although it was initially assumed that Haribhushan alias Jagan, a top leader of the Communist Party of India (Maoist) was killed in the encounter, police on Saturday clarified that he is yet to be caught. Police identified the slain Maoists as Dadaboina Swamy alias Prabhakar, Ithu, Budri, Rame, Mallesh, Kamala, Kosi, Sukki, Ratna and Sombi. Except for Prabhakar, all the others belonged to Chhattisgarh. A PIL also has been filed by Civil Liberties Committee president Gaddam Laxman, who called the encounter unconstitutional. Following this, the court has directed the government to video-graph the post-mortem of the slain Maoists.